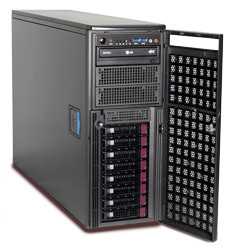 Pogo Linux Tech Blog l | The latest in Open Source servers, workstations and storage technologies. Bryan is in the midst of building a new studio, adorned with a tongue-in-cheek 1980’s theme. As soon as we heard that, we knew what we had to do. We have adorned his new workstation with a fully custom vinyl wrap. 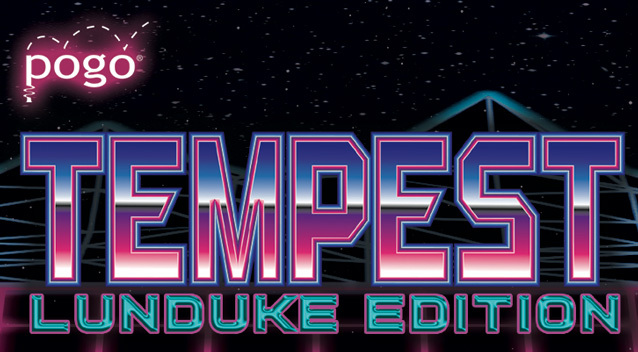 The design is reminiscent of the “Synthwave” styled neon vector graphics that were a common aesthetic back in the eighties. For extra points, we’ve also included Bryan’s trademark 8-bit avatar, reimagined with Sonny Crockett’s trademark white pants and jacket. If we play our cards right, maybe we can talk him into wearing that outfit at LinuxFest Northwest this year! With such an over-the-top eighties theme, bright neon case lighting is a foregone conclusion. Our engineers installed a digitally controlled lighting solution. This advanced PC lighting system is fully configurable via open-source software with a full complement of RGB colors and countless illumination options. Our engineers have configured it to complement the color pallet of the custom graphics on the case. The liquid cooling system ensures this system stays whisper quiet. 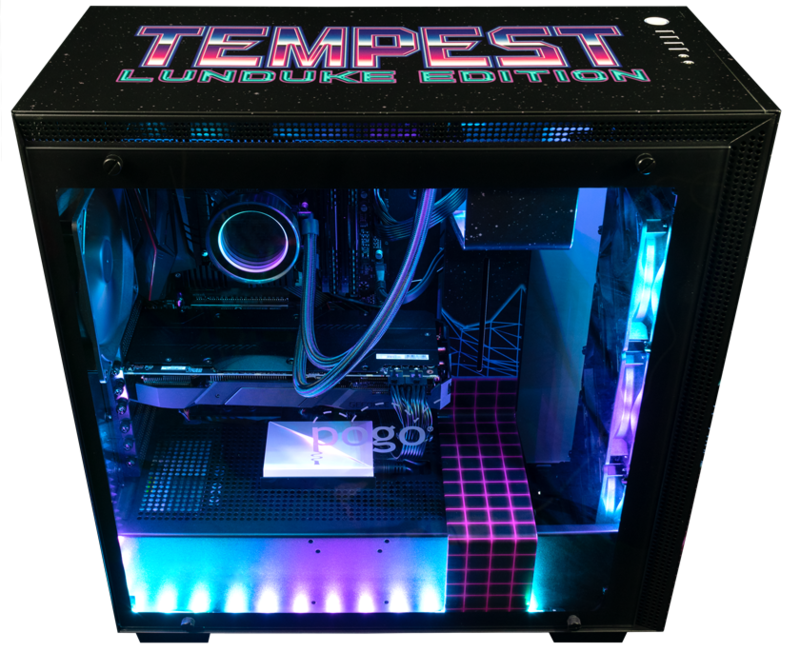 Aside from the over-the-top visual presentation, this custom Tempest Workstation is very representative of Pogo’s desktop ethos: enterprise grade hardware built to run open source with enthusiast-level performance. Be sure to subscribe to Bryan’s YouTube channel, follow him on LBRY, and support him on Patreon. You’ll surely be seeing more of Bryan (and his cool new workstation) in the months and years to come. Stay tuned! Happy New Year! 2018 flew by in what seemed like a heartbeat. It was a good year for Pogo. Time indeed flies when you’re having fun, and 2019 is already upon us. This year is already queued up to be another exciting one. In the volatile and sometimes unpredictable landscape of our information technology industry, longevity is uncommon. Technologies come and go. Methodologies fall into and out of favor. Linux distributions continually iterate and improve. For the past twenty years, Pogo has been right here in the thick of it, providing solutions to technological challenges for companies of all sizes, universities, and government organizations. That’s right – 2019 marks Pogo’s twentieth anniversary! We plan to celebrate this milestone in a variety of ways throughout 2019. This year will be Pogo’s busiest ever for trade shows and open source conferences across this great nation. We’ll be proudly exhibiting at some of our favorite open source events, such as the SoCal Linux Expo (aka SCaLE 17x), and LinuxFest Northwest (also celebrating their 20th anniversary!). We’ll have booths at several other big shows, such as NAB and SIGGRAPH to name just a couple. We also look forward to returning to LISA (in Portland this year). We will be adding more as get further into the year. For an up-to-date list of upcoming shows, please visit our Events Page. 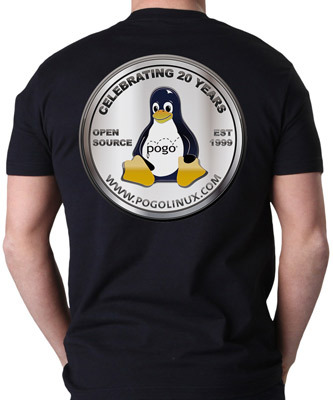 After an extended absence, back by popular demand: The Pogo Linux Coin T-Shirt! Help us celebrate our twentieth anniversary in style. Our original “coin” t-shirt was a huge hit when it was first introduced in the early 2000’s. It has now been several years since we’ve made them available, and they’ve been very persistently requested by our fans. We are stoked to be updating our famous coin for our 20th anniversary. Stop by our booth at an upcoming show to get yours. Supplies are limited – first come first serve! This year, we’ll also have a bunch of cool new tech for your server room and data center. Our storage software partner OSNEXUS will be releasing their eagerly awaited new version of their flagship software-defined-storage application, QuantaStor SDS 5. We’re also looking forward to new CPUs from Intel, and new storage solutions from Western Digital. Check back often to pogolinux.com. Like us, you may have tuned in last week to watch NVIDIA’s official unveiling of their new GeForce RTX 2080 GPU. While it’s too early for the average joe to get their hands on one, the early impressions are already coalescing throughout the web. Upgrade or stick with a 1080 Ti? According to the initial consensus, the performance jump for gaming looks to be fairly modest. The biggest benefit will be for gamers running games at 4k. The gaming community is waiting for applications to be better optimized for the new architecture. However, the computing performance increases appear to be quite significant! Some specific benchmarks have shown as much of a 2x jump in performance. The CUDA/OpenCL benchmarking so far on 2080 Ti is showing better performance, not just for Deep Learning and AI workloads with new Turing Tensor cores, but for more generalized computing as well. The RTX 2080 consumes a little more power than the GTX 1080 Ti (20 watts on average), but benchmarks have shown a 2x gain in performance per watt. Memory bandwidth of GDDR6 over the GDDR5 in the 1080 Ti translates to comparatively higher performance. Single-precision float performance is showing a roughly 30% increase over the 1080 Ti. Much of the performance improvements are coming from the Turing Tensor Cores. 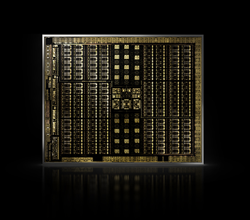 Once applications are able to take full advantage of the new instruction sets, these GPUs will really shine with their new architecture. Boasting up to 8 NVIDIA Tesla GPUs in one server, the Iris 4290-8GPUT is a no-holds-barred powerhouse for deep learning. This system is poised to take on the most data-intensive deep learning projects. In addition to the GPUs, it delivers a pair of the latest Intel Xeon SP™ CPUs, up to 1536 GB of memory, 16x SAS or SATA hard drives, and 2200 watts of redundant power. Check it out here at pogolinux.com. An impressive amount of parallel processing can be shoehorned into a 1U server. Behold the Iris 1291-4GPU-TP. As you can see in the photo, not only are there two Intel Xeon SP Processors, there are 4 NVIDIA Tesla P100 GPUs. 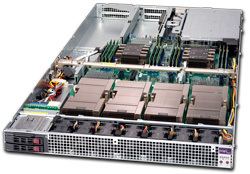 It also sports a pair of the latest and greatest Intel Xeon SP processors. Top it off with 2000 watts of redundant power and dual-port 10G Ethernet. Explore your configuration options on pogolinux.com. Who says you need a server for deep learning? You can have a supercomputer right there on your desk! The Velocity D59PSC puts a profound amount of processing power at your fingertips. 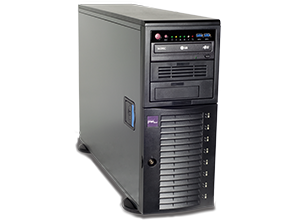 Start off with dual Intel Xeon SP processors, along with up to 1 TB of memory, an M.2 bootable SSD, a RAID of up to 8 hard drives, and dual-port 10G Ethernet. 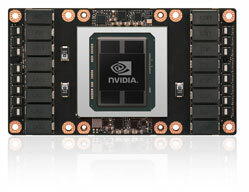 The coup de grace is up to 4x NVIDIA Tesla GPU cards. Configure yours now at pogolinux.com. Back in the day, when someone mentioned artificial intelligence, images sprang to mind of either malevolent robots attacking the planet or laboratories full of gigantic machines with blinking lights on the front, surrounded by scientists in lab coats. Fast forward to today, and we find that AI is not just for sci-fi movies or secret government laboratories. AI and Deep Learning has found a home in every corner of academia and industry. We are able to find solutions to problems that once seemed impractical to take on, due to the sheer amount of data that needed to be analyzed. Thanks to the advent of the GPU, an astounding amount of mathematical processing power is now available to the mainstream. Why GPU? / Why not CPU? With CPU technology continuing to move forward at a healthy pace, one might ask why we need graphical processors to do the work of the CPU. It’s all a matter of ‘horses for courses.’ CPUs are terrific for performing a sequence of different calculations on a piece of data, while GPUs are ideal for performing one particular task on a huge array of data simultaneously. In practical terms, GPUs can analyze large groups of data in a much shorter time than CPUs alone. This advance in parallel processing has enabled monumental breakthroughs in a wide variety of endeavors across various disciplines, such as meteorology, medicine, music, and even self-driving cars. 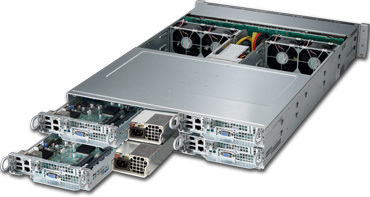 We offer a well rounded selection of GPU servers, based on the NVIDIA Tesla architecture. Pick the system that’s right for your workload. We have everything, from burly GPU workstations to a variety of rackmount GPU servers, running as many as 8 NVIDIA Tesla GPUs. Posted in data mining, General, Rackmount Servers, Server Solutions	| Tagged GPU, nvidia, servers	| Comments Off on Deeper Learning with GPUs! For his latest appearance on The Lunduke Show, Paul, our VP of Sales & Product Development talked with Bryan about a few eye-popping system configurations. A full petabyte of flash storage in a 1U box?! Yes, it will be available very soon! They also discussed super quiet NAS systems, easy to configure network switches, and the now laughable cost of storage back in the early 2000s. Intel has recently introduced a storage server that boasts a full petabyte of solid state storage in one single rack space, using their new Ruler SSD form factor. The Velocity D59SQ is a super-quiet workstation that makes for a terrific storage server, with up to 8x SAS or SATA drives in a RAID. Perfect for file storage in a quiet video studio! The Iris 229-12 2U storage server is a super versatile solution – the perfect NAS for running ZFS on Linux. When researching a new IT purchase, navigating the available hardware options can be daunting, especially when dealing with cutting edge new architectures. We strongly recommend contacting Paul and our Sales Engineering team for up-to-the-minute advice. We will ensure you get the ideal solution for your workload and budget! Effective partnerships are essential for meeting the various challenges confronting the engineers on the front lines of IT. When the stakes are high and time is short, there is no margin for error. When faced with such an exigency, Triton Data Services partnered with Pogo Linux and HGST to quickly resolve a sticky situation. When Andrew Timm, CTO of Triton Data Services was contacted by his client, time was already running out. The customer was facing an imminent and very costly annual software license renewal. A t the eleventh hour, they decided to decommission their servers rather than renew the licenses. This meant that all the data stored on those servers needed to be securely relocated, and very quickly. Andrew had to come up with a solution immediately. Andrew had less than a week to move the massive amount of data from the client site, bring it back to Triton’s data center, and verify the data integrity so the systems at the customer site could be decommissioned. Given the sheer amount of data that needed to be moved, and the very short deadline, copying the data via the internet would be too slow and unreliable. They needed a way to quickly and securely copy the data onsite at the customer’s data center, and then physically move it to Triton’s data center. Since they had such a narrow window of time to accomplish all this, it needed to be done right the first time – there would be no second chance. Andrew needed hardware partners he could rely on implicitly – companies that cared as much about his client’s challenges as he did. Pogo Linux has been helping Andrew exceed customer expectations on projects such as this since 2009. He called Pogo’s engineering team and they quickly worked up a plan of attack. Given their exemplary track record for performance and reliability, Chris and Andrew agreed that an HGST, a Western Digital© brand JBOD would be the ideal platform upon which to copy all of the data. 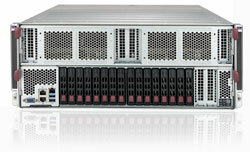 They utilized multiple Ultrastar Data60TM JBODs, each with sixty UltrastarTM SAS hard drives. In addition to the Ultrastar Data60sTM they configured six homogeneous servers with 10G ethernet cards and high-speed SAS RAID cards. Since they needed to operate these systems at the client site, Chris helped Triton source a portable rack so they could transport the systems themselves. As a result of strict client specifications, Triton needed the ability to simultaneously copy data to three destinations. Two JBODs would provide ample storage space for the project, but each one needed to be partitioned into thirds to properly copy the data. Andrew planned to divide each JBOD’s pool of 60 drives into three zones of 20 drives each. They would employ one JBOD to receive the data, then bring the other JBOD online as soon as the first one filled up. There was just one unforseen wrinkle: The JBODs needed a custom zone file in order to divide the pool of disks into three zones. As soon as Chris became aware of this, he got on the phone with engineers over at HGST and explained the requirements, with emphasis on the urgency of the situation. Over the weekend, the HGST development team turned around a new firmware that allowed for the desired custom disk configuration. The project went off without a hitch. Triton was able to copy the data from the client’s servers with time to spare. They then brought their systems back to their own facility, where they verified the integrity of all the data. Andrew then informed the client that the project was complete, and in turn they would not have to renew the expensive software licenses. For a pdf copy of this case study, click here. Triton Data Services is a full-service data management firm, comprised of industry veterans and domain experts, providing solutions for issues facing the oil and gas geophysical data community. For the past twenty years, they’ve taken pride in solving the industry’s most challenging data management problems with meticulous attention to detail. 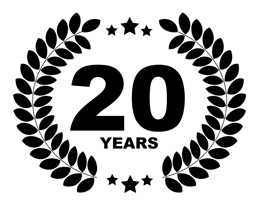 Their client list ranges from the very largest multinational oil and gas companies to small, independent E&Ps and industry-leading seismic data vendors and processors. Every client, regardless of size or project, receives a tailor-made solution, because no two projects are exactly alike. The HGST brand is part of the Western Digital family of brands. Their commitment is to deliver innovative, high-value datacenter, mobile, personal and consumer electronics storage solutions together with storage infrastructure consultation to the world’s largest and most sophisticated OEMs, businesses and hyperscale cloud customers. HGST branded products have an unmatched reputation for quality and reliability; offering award-winning enterprise optimization software and a broad portfolio of innovative, high-quality hard disk and solid state drives that store, manage and protect the world’s data. Their unmatched science and unique technology vision, combined with their deep understanding of customers’ needs and market opportunities, sets them apart. To learn about how Pogo can help you solve the issues your organization is facing, please call us at 888-828-POGO, or email sales@pogolinux.com. Whether you’re paying by the kilowatt hour or the square foot, colocation can consume a big chunk of the IT budget if not properly optimized. Bandwidth costs have come down, but real estate costs have not. Never has there been a stronger case for multi-node servers. 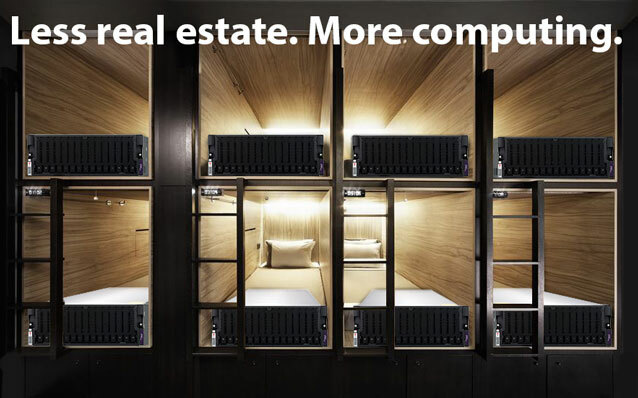 Even if your corner of the datacenter isn’t as spacious as you’d like, you might be amazed at how much compute power you can fit into just one or two rack spaces. Not only that, there’s no need to forego essential features such as redundant power, efficient cooling, and easy cable management. Here is a sampling from our multi-node product line. The Pogo Linux Iris 2491 is all about performance. 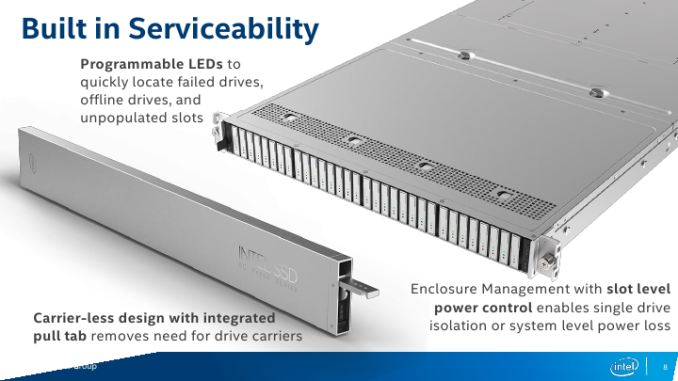 It offers four discrete compute nodes in a standard 2U enclosure, with dual Intel® Xeon® CPUs, up to six SSDs, and optional 40 Gigabit Ethernet for each node. Boasting similar specs as the Iris 2491, the Pogo Linux Iris 2492 is an all-around favorite. 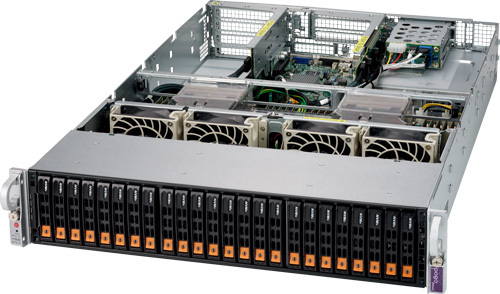 With up to three 3.5 inch SATA drives per node, economical configurations are available. If your workload demands the maximum amount of raw horsepower The Pogo Linux Iris 1229TP packs up to 112 compute cores into a single rack space. Are you running out of real estate? Talk to a Pogo Linux sales engineer today about how to take advantage of the high density and power efficiency of our full line of multi-node servers. To learn about how Pogo can help you tackle the technological challenges your organization is facing, please call us at 888-828-POGO or email sales@pogolinux.com. Once again, Paul, our VP of Sales & Product Development was the special guest on The Lunduke Show. 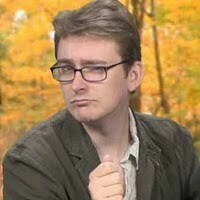 This time around, he provided the expert color commentary for Bryan’s weekly tech news show. They dove into the tech topics du jour. Meltdown, Spectre, Hawaii’s missile scare, Bitcoin, and even the TRS-80 Model 100. Check it out. Be sure to subscribe and click the Like button! When researching a new IT purchase, navigating the available hardware options can be daunting, especially when dealing with cutting edge new architectures. We strongly recommend contacting Paul and our Sales Engineering team for up-to-the-minute advice. We will help ensure you get the ideal solution for your workload and budget!